Enrollment Meetings are held the last Thursday of each month at the Tribal Chambers, 4:30 pm. Everyone welcome. 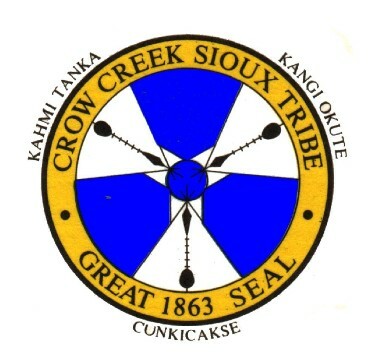 Click HERE to view or download the Tribal Resolution authorizing and approving the Crow Creek Connections website (www.crowcreekconnections.org) and the use of the Great Tribal Seal.